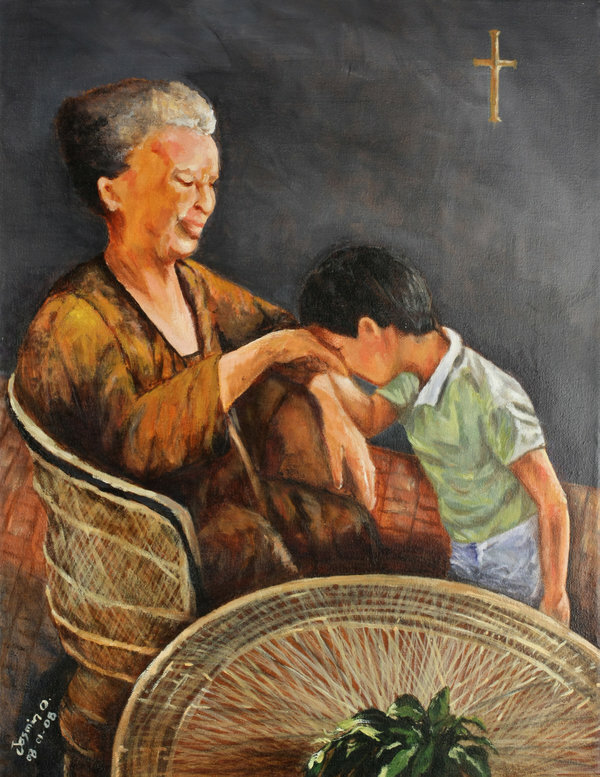 Right here in this picture you have a kid receiving a blessing and showing his sign of respect to the elderly person. This happens to be a big tradition in the Philippines and most younger people do this every time then meet an elder. This tradition isn’t just been carried out in the Philippines but it is beginning to spread abroad and even most Filipino Americans and some people of other culture have began to do this tradition.